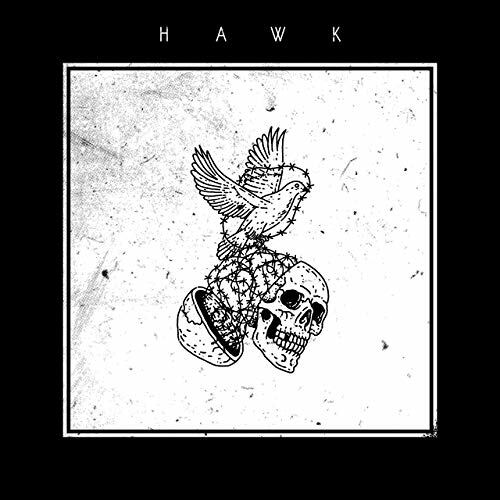 Pennsylvania’s This Or The Apocalypse have resurfaced as Hawk, premiering their first single under the moniker. Listen to the track, titled “Mileage”, below. The song features a guest spot by Ice Nine Kills frontman Spencer Charnas. You can download it now at this location. “I don’t know how to keep stuff short. This Or The Apocalypse made some moves about 4 or 5 years ago to make a new album under a new name. We put our all into the record- self produced big chunks of it, worked with different producers, then spent enough to put years of debt ahead of us. The album wasn’t released and there are no hurt feelings; we gained more than we lost. TOTA became Hawk years ago and kept it off the internet. I guess we finally started to agree with some of the A&R reps in the inbox- there was a phone call with a few of us in the team regarding a contract offer contingent on a name change and it lasted a couple of minutes. I just said ‘How about we call it Hawk‘, a couple of us said ‘Yeah that’s cool’. It wasn’t a hard decision to make. We were preparing to lose to one of the last remaining ‘founding’ members of the band and filling his slot felt like the last step out of what we were doing, emotionally at least. TOTA toured between 32-35 times across the US alone, I’m not even including all of the international tours. We gained the perspective/understanding that a lot of musicians don’t get because people are just really transparent and honest with a band that comes through 3 or 4 times a year without popping. We were playing for promoters that I regularly texted jokes to, our booking agents and managers were personal friends who sugar coated nothing. It wasn’t emotional, we embraced the change and got to work. For a lot of different reasons that don’t belong here, the brakes locked on the whole thing and we ended up rebuilding our whole business from the ground up. I made a studio for us to spend years trying stuff out in. My mentality was that musicians needed to be in control of their own material and the quality of it to not be helpless. We wrote for, produced, played on, and mixed over 30 records in there. We genuinely care about every single band that stepped in there. I’m so proud of everything that we accomplished in it. Then we could bring what we were working on back to our band. We just wanted to be ‘worth’ entertaining others, not guys who felt as if they were owed something for showing up and getting on a stage. This whole time everybody’s been asking where we’ve been and it’s funny because we’ve never been more productive. We weren’t going to come out swinging on everyone until we were truly ready to do it. So yeah, Hawk. Pronounce it however you want. Say it like you’re getting something out of your throat if you want, we don’t care. We are playing new music now and it’s all material we had a hand in producing. ‘Mileage’ is the first of about 20 songs on deck. Every member produced their own performance, I mixed it, Andreas Magnusson, head producer of Dead Years, joined in when we did the live drums down in Richmond and he mastered the track as well. Spencer Charnas from Ice Nine Kills sang some harmonies on the chorus- We didn’t even ask him to. I just sent him the song and he immediately sent me a bunch of unsolicited audio files of his voice. We put a video together to tell a story about mental illness with the help of videographer Eric Dicarlo and a group of our best friends playing different monsters. We spent a lot of evenings after rehearsals gathering everything we wanted to use in the scenes and it’s full pop culture references and nods to our favorite movies. It’s also every type of weird that’s out there. The band is myself and the only other ‘original’ founding member of TOTA Jack Esbenshade. We have played together for about 15 years. Adam Reed stepped up from assisting and editing all of the tracks at the studio for 3 and a half years to our full time drummer. I think people are going to be shocked by how tight he is. He also conducted the whole “teaser” video with me and edited the whole thing (Spencer Charnas also did some voice acting as the old woman working at the post office). Bern Stabley is hands down the best bassist I’ve worked with and bringing him into the mix was criminally easy. “I’ve been flying around in planes since I was little so I used that as a vehicle to talk about overworking: the world keeps racing by, you get a different perspective from everyone on the ground, you try to keep your sense of humor, you gain a little, you lose a little, stuff that mattered to you stops mattering altogether. ‘Mileage’ is about as personal as it gets and every member had a hand in producing and mixing their performance on the song, which we’re very proud of. A lot of people who deal with anxiety, depression, obsessive personality traits, etc. are totally normal people and we wanted to make a video about the topic without characterizing anyone like they’re on the edge or in danger or anything like that. The video is about how mental illnesses tend to start showing up all over the place once you learn how to identify them. On one hand, they’re sort of terrifying because they can take whole chunks of our lives and make them painful for no reason. On the other hand, for those who deal with them on a day to day basis, they’re annoying as hell. 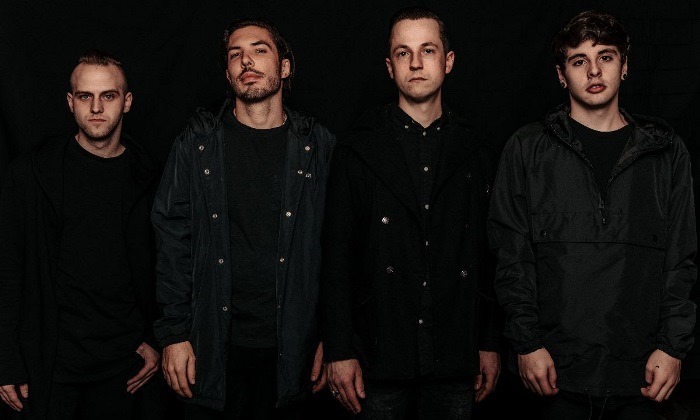 Next week, the group will hit the road as part of the March Into Madness Tour with Ice Nine Kills, From Ashes To New, Palisades, and Afterlife.